Could She Confine Her Love-Making To Men Only? Marcia’s Super-Active Love Life Included A Cast Of Lovers Miles Long — Male And Female! First there was Hack Johnson, Jerry’s chief business associate. Marcia had to be especially good to Hack because he held the corporate cards that would keep Jerry out of jail. Then there was Laverne, soft, slim, high-fashion model who never knew a man and never wanted to as long as women like Marcia were around. 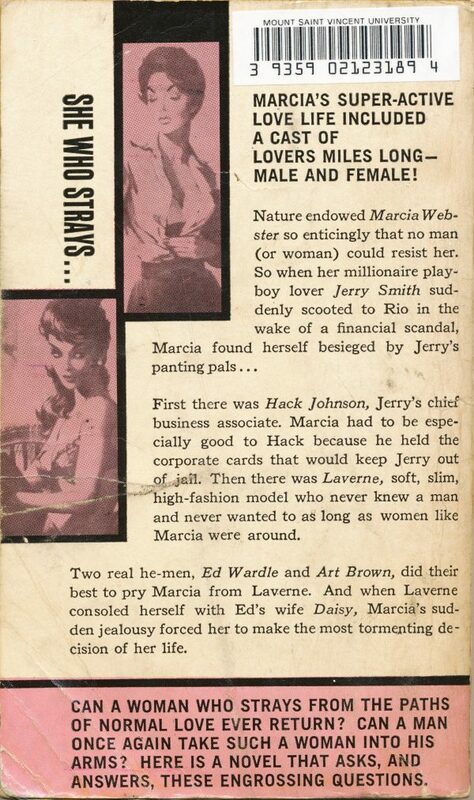 Two real he-men, Ed Wardle and Art Brown, did their best to pry Marcia from Laverne. And when Laverne consoled herself with Ed’s wife Daisy, Marcia’s sudden jealousy forced her to make the most tormenting decision of her life. 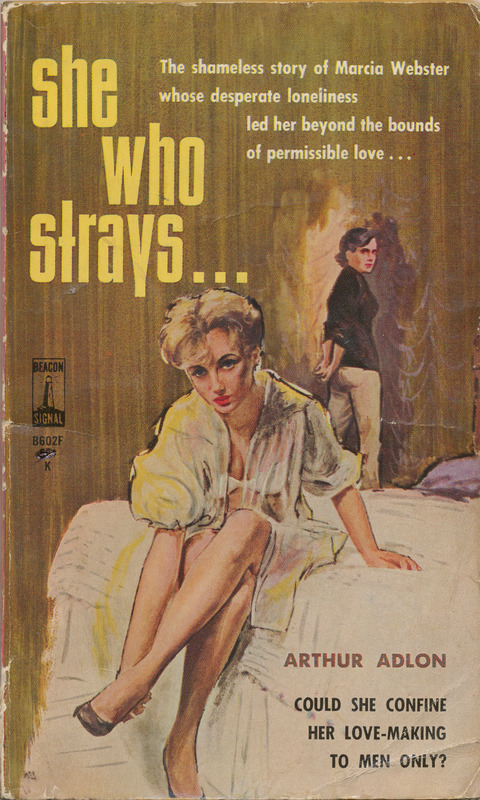 Can A Woman Who Strays From The Paths Of Normal Love Ever Return? Can A Man Once Again Take Such A Woman Into His Arms? 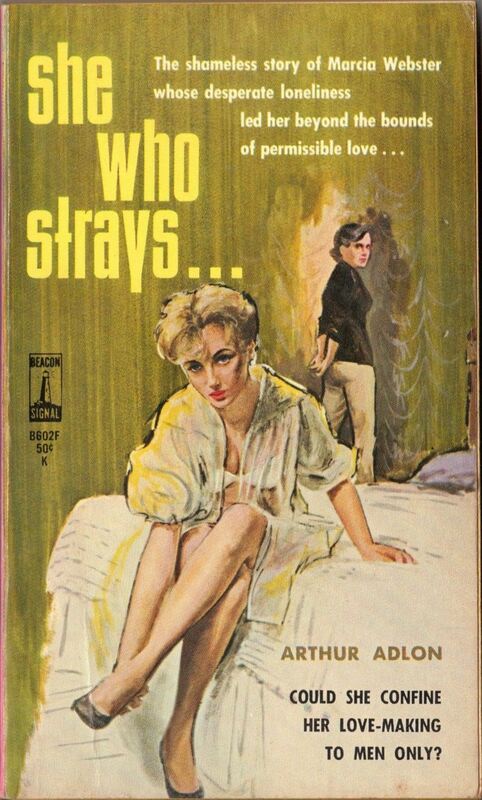 Here Is A Novel That Asks, And Answers, These Engrossing Questions.